Ahead of the upcoming Football World Cup, the eyes of the world are now at Russia, the host of the tournament. The host country has taken many initiatives to meet the expectations of football fans, who will visit the country to witness the greatest show on the earth. Roads, airports and major infrastructures are being renovated. In return, Russia expects its tourism industry to receive a bump due to the tournament. All matches of the World Cup will take place in twelve venues in eleven cities of the country. Large-scale television monitors have been installed on the streets of those cities. “We are not afraid of our comparisons with the other cities of Europe,” M Belayev, an official of Moscow Urban Development Department, told media. He hopes that all preparations for the World Cup will be completed by May this year and that tourists and supporters will be pleased to be in Moscow. However, the concerns about language remain unwavering. There is literally no use of any other language than Russian, but the authorities appear to have understood the importance of English for a global audience. Many road indicators are written in Russian, but in recent days, signs written in English have been added as well. In addition, hotels, restaurants and super malls are recruiting new employees to cope up with the tide of fans, and they are prioritising the candidates with proficiency in English. 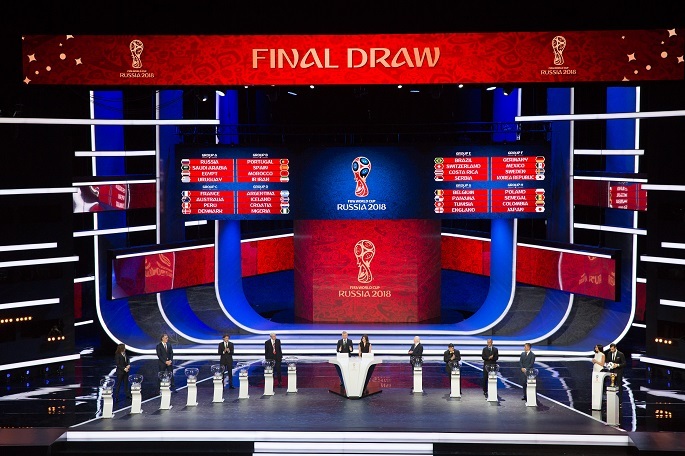 The tournament will kick off on June 14 this year, while the final match will be held on July 15 at the Luzhniki Stadium, Moscow, which will also host the inaugural match. The stadium has a capacity of 85 thousand seats, and nearly 350 million euro was spent on the construction of the stadium. The entire field of the stadium is covered with artificial grass. The Russian Chamber of Accounts (RCA) has recently reported that the country has spent 670 million US dollars to undertake the preparations for the world cup. In the process, Russia has either renovated existing stadiums or constructed new ones. RCA said 38 percent of the expenditure was spent in constructing or renovating sports-related establishment, while the rest has been expended for preparation for the event. For example, new roads have been constructed, and various public utilities and development facilities have been improved. Apart from Moscow, the capital city, matches will take place in other major cities such as St. Petersburg, Sochi, Kazan, Saransk, Kaliningrad, Volgograd, Rostov-on-Don, Nizhny Novgorod, Yekaterinburg, and Samara. Note: The writer is a PhD Researcher at People Friendship University, Moscow, Russia.